​I required kindness and sympathy, but I did not believe myself utterly unworthy of them. 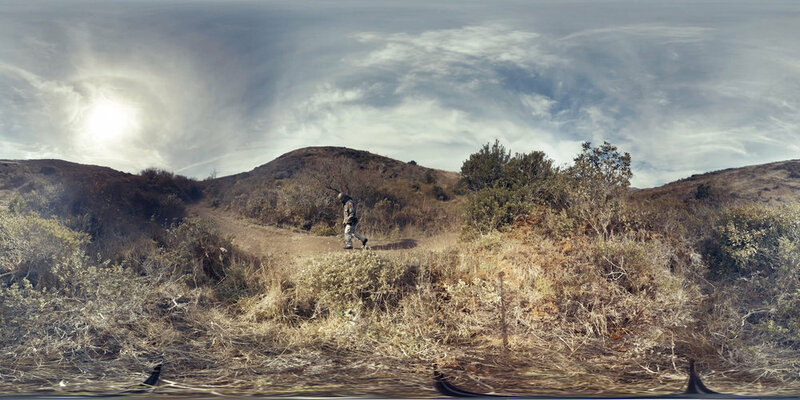 I required kindness and sympathy, but I did not believe myself utterly unworthy of them is a 360 video which blends fiction and documentary impulses to explore the reintegration process veterans undergo when they return to civilian society. Inspired by Mary Shelley’s Frankenstein, I required kindness and sympathy begins with a veteran performing a modified monologue from Shelley’s text while we watch them roam a militarized landscape. Eventually, the scene transitions from the militarized landscape to the veteran’s home and we hear the veteran's personal reintegration story. By providing a platform where the contrast and harmony between Shelley’s depiction of the created man, the ultimate outsider, as he attempts to integrate into civilian society and the veteran’s lived experience, this piece seeks to open up new dialogues about the ways in which our society understands, empathizes, and supports the veteran’s journey. Description by Jason Hanasik, my collaborator on the project. The project was on display at the San Francisco Arts Commission from November 9, 2016 to March 4, 2017.